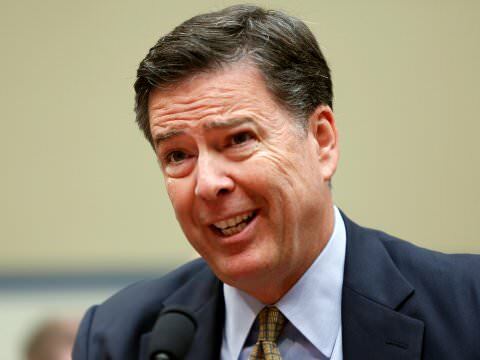 Fired FBI Director James Comey posted a bizarre April Fool’s tweet on Monday — and it flopped. Comey posted a photo of himself standing in the middle of a road with a caption, “I’m in. We need someone in the middle. #2020” as if he was announcing his 2020 bid for the White House. A couple hours later after massive backlash for his awkward, unfunny tweet, Comey followed up by taking a shot at President Trump and told people to vote Dem in 2020.